There’s trivia and then there’s trivia. 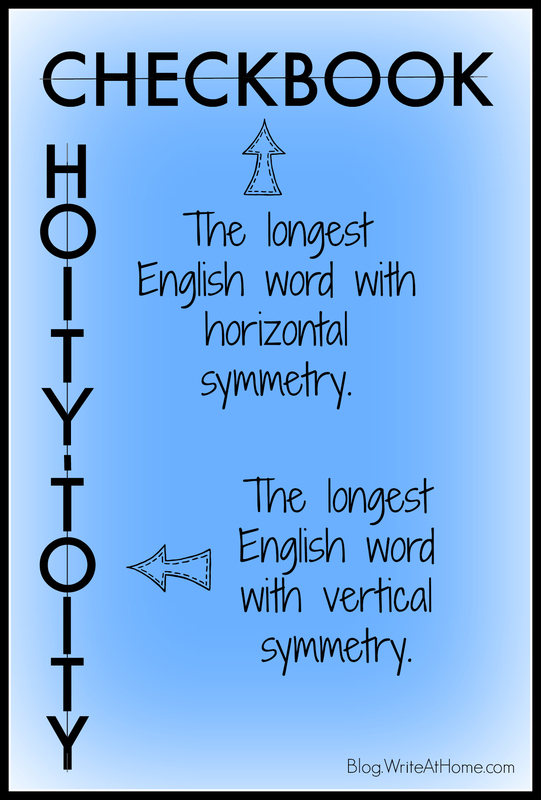 I found the fact that these two words, when written in all-caps, are the longest symmetrical English words (horizontally and vertically) to be interesting. What is perhaps more interesting is that someone took the time to figure this out. It takes all kinds of people– including those who take the time to figure out words like these– to make a world!